Jeff D. Williamson, M.D., M.H.S., from the Wake Forest School of Medicine in Winston-Salem, North Carolina, and colleagues randomly assigned adults aged 50 years or older with hypertension to a systolic BP goal of <120 mm Hg (4,678 participants) or <140 mm Hg (4,683 participants). The trial was stopped early for benefit on its primary outcome (a composite of cardiovascular events) and all-cause mortality. The researchers found that adjudicated probable dementia occurred in 149 and 176 participants in the intensive and standard treatment groups, respectively, during a median follow-up of 5.11 years (7.2 versus 8.6 cases per 1,000 person-years; hazard ratio, 0.83; 95 percent confidence interval, 0.67 to 1.04). With intensive BP control, significant reductions were seen in the risk for mild cognitive impairment (14.6 versus 18.3 cases per 1,000 person-years; hazard ratio, 0.81; 95 percent confidence interval, 0.69 to 0.95) and in the combined rate of mild cognitive impairment and probable dementia (20.2 versus 24.1 cases per 1,000 person-years; hazard ratio, 0.85; 95 percent confidence interval, 0.74 to 0.97). "These results importantly show that intensive BP control did not result in harm to cognition," the authors write. 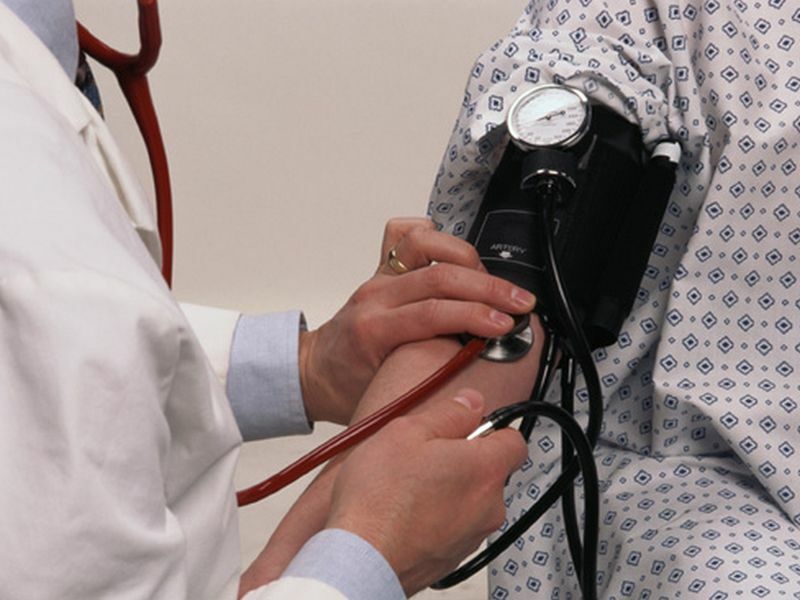 "Moreover, there is some indication that intensive BP control may be beneficial." Several authors disclosed financial ties to pharmaceutical companies, including Takeda Pharmaceuticals, which provided study medications.